KUALA LUMPUR — The spread of online political rumors, false content and hoaxes has fact-checkers working overtime ahead of elections in Thailand, India, Indonesia and the Philippines. 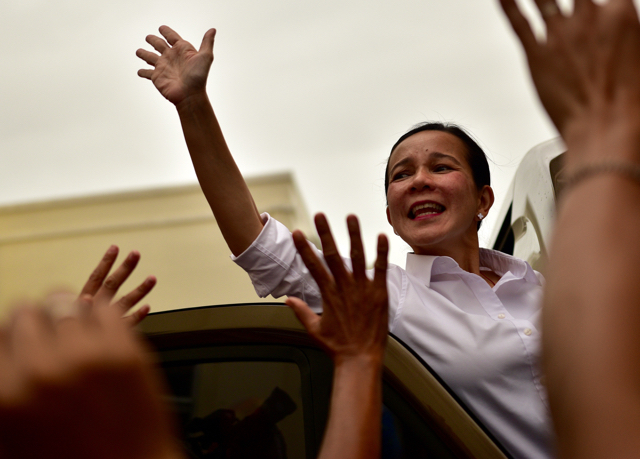 In February, a video first seen last year resurfaced on social media of Grace Poe, a Philippine politician, allegedly backing the blocking of Facebook in the country, where freedom of speech is ingrained in the constitution and the number of social media users is 76 million, much higher than the 61.8 million people who are registered to vote. But the video, which was posted by an account supporting President Rodrigo Duterte, who defeated Poe and other candidates in 2016 presidential elections, excluded some vital comments by the senator, who will defend her seat in May’s midterm elections. The misleading video was flagged by Vera Files, a fact-checking organization that is part of an elections-focused collaboration called Tsek.ph and which includes some of the Philippines’ main newspapers, television stations and media academics. “The challenge is the volume of the disinformation happening in various forms, from campaign claims to memes to blogposts,” said the Tsek.ph project leader, professor Rachel Khan, associate dean of the College of Mass Communication at the University of the Philippines, Diliman. In Asia’s other electoral battlegrounds, fact-checkers — vigilantes on the prowl for fake news — face similar challenges in stemming the tide of false content in countries where sometimes hundreds of millions of people have access to online news, social media and messaging applications. “We are actively working to support those fact-checking organizations for the upcoming elections,” said Baybars Orsek, head of the International Fact Checking Network at the Poynter Institute in the U.S. “It’s widely reported that hoaxes amplify via messaging apps, closed groups, and dark social” — social media content shared privately — “especially in Southeast Asia,” Orsek said. With elections coming up in Thailand on Sunday, Sure and Share, a fact-checking TV program broadcast on official news station MCOT is mostly focused on addressing queries about a variety of topics, often spread on Facebook’s Messenger and Line, a Japanese-based messaging app. “Politics misinformation is less spreading in Thailand, compared to health, food,” said Peerapon Anutarasoat, Sure and Share team leader. In military-ruled Thailand, rumors fail to gain much traction because of the country’s curbs on freedom of speech — such as the world’s most restrictive lèse-majesté laws — may mean that fact-checking is not as prevalent as elsewhere in the region. That is not the case in Indonesia, where, ahead of presidential and parliamentary elections on April 17, social media and messaging apps have been flooded with hoaxes — such as images purporting to show President Joko Widodo handing out food to people on the campaign trail and false claims that he is breaking campaigning rules by not resigning as president first. “If the original disinformation post gets 10,000 shares, we can be lucky to get 10% of that,” said Aribowo Sasmito, the head of fact-checking at the Jakarta-based Anti-Defamation Society, better known by its Indonesian acronym Mafindo and its @turnbackhoax social media handle. Some hoaxes are more sophisticated than others, while some are relatively easy to refute — such as the Grace Poe example — but many still go viral. The refutations often struggle to catch up in countries like India, where in April and May nearly 900 million people will be eligible to vote in national elections. The scale of rumor-mongering can be overwhelming in the country, where hundreds of millions have internet access and where leading politicians have some of the world’s largest social media followings. “The kind of speed and scale that the original post can reach is difficult to match,” said Rakesh Dubbudu of Factly, one of several fact-checking groups working to combat India’s sometimes-deadly rumor mill. Facebook-owned WhatsApp, which, like other similar platforms, is based on encrypted messages that are difficult to monitor, introduced message forwarding restrictions in the wake of killings last year that were prompted by hoaxes spread on the app. But Dubbudu said that other messaging apps are now being used as workarounds and could feature as campaigning tools. India’s parliamentary vote is shaping up to be a close contest between the ruling Bharatiya Janata Party of Prime Minister Narendra Modi and the Indian National Congress, upping the stakes as candidates take to social media and messaging platforms in their appeal to voters. 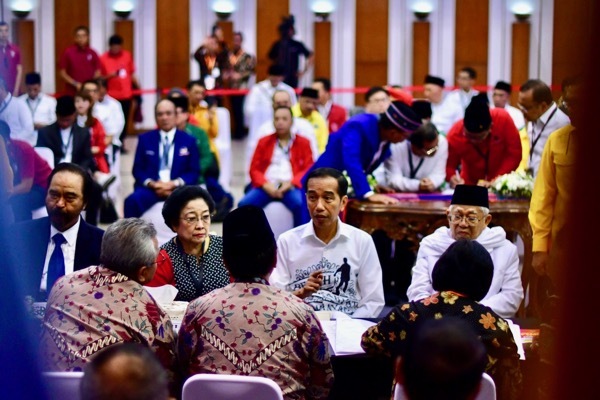 In contrast to India’s tight race, the Indonesian presidential election — a rematch of the 2014 contest between Widodo and former Lt. Gen. Prabowo Subianto — shows the incumbent with a double-digit lead in public opinion surveys. But even if the presidential contest looks tipped in Widodo’s favor, the country’s social media is alive with election gossip. Widodo’s running-mate, Ma’ruf Amin, raised the issue in a recent debate with opposition vice presidential candidate Sandiaga Uno, calling on voters “to fight against hoaxes and slander” in the light of a rumor making the rounds that, if re-elected, Widodo would abolish the religious affairs ministry and ban the Muslim call to prayer. The political damage that manipulated content can do was on prominent display in 2016 when an edited video of a speech by Basuki Tjahaja Purnama, then-governor of Jakarta, suggested that Islam, the majority religion in Indonesia, had been blasphemed by the Protestant city leader. Purnama, who is of Chinese descent, not only lost the governorship in an election the following year but was jailed for nearly two years for blasphemy. Hoaxers, many working for so-called buzzer teams working multiple fake social media and messaging accounts to spread false claims about candidates, have clearly been encouraged by the Purnama precedent. Rumors have traction in part because Indonesia’s media, particularly TV news, is seen as partisan. Sufehmi said that for fact-checkers, time-consuming research is often needed to refute viral lies, which aim “to provoke and confuse” by sometimes blending half-truths with insults and sectarian controversy.